China suspects detained former Canadian diplomat Michael Kovrig of spying and stealing state secrets, state media reported Monday, turning up the heat in a diplomatic row between Beijing and Ottawa as a top Huawei executive faces possible extradition. Another Canadian in Chinese detention -- businessman Michael Spavor -- was one of Kovrig's main sources of intelligence, the official Xinhua news agency reported, citing authorities. The pair were detained in December in what observers see as retaliation just days after Canada arrested Chinese telecom giant Huawei's chief financial officer, Meng Wanzhou, at the request of the United States. Chinese authorities had previously said the two Canadian men were under investigation on suspicion of endangering national security. Spying charges could expose them to tough prison sentences. Kovrig, who now works for the International Crisis Group think tank, had often entered China using a non-diplomatic passport and business visas and has been gathering intelligence since 2017, Xinhua said. The new allegations come three days after Canada launched the extradition process against Meng, angering Beijing, which called the action a "severe political incident." Meng will be in court in Vancouver on Wednesday to schedule a date for her extradition hearing. The United States wants to put her on trial on fraud charges for alleged Iran sanctions-busting and lying to US banks about it. Ottawa has said the two Canadian citizens were "arbitrarily" detained and that interrogations of Kovrig breached the Vienna Convention on diplomatic relations -- allegations Beijing flatly rejected. A group of Canadian parliamentarians had earlier complained to Chinese authorities that Kovrig and Spavor have been denied access to lawyers, and remain in "completely unacceptable" detention conditions. "China's approach is no different from the rest of the world in dealing with such cases involving national security cases," foreign ministry spokesman Lu Kang said at a regular briefing Monday. China will handle their case in "strict accordance with the law, guarantee the legitimate rights of Kovrig and Spavor," and arrange for consular visits, a report by a Communist Party organ overseeing state and public security said in a report on a news website it operates. Meanwhile, Meng, 47, has filed suit against Canadian authorities for violating her constitutional rights when she was detained at Vancouver International Airport. Her lawyers charge impropriety in the conditions under which Meng was interrogated for three hours by the customs officers, officially as part of a routine inspection, before being served with her arrest. 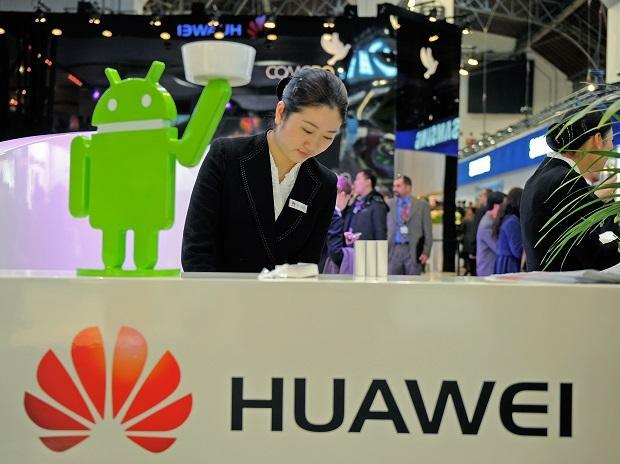 The US Justice Department accuses Huawei and its chief financial officer of circumventing US sanctions against Iran, but also, via two affiliates, stealing trade secrets from US telecommunications group T-Mobile. The daughter of Huawei's founder, Meng was released on parole in mid-December in Vancouver, where she owns two residences, on a bond deposit of 10 million Canadian dollar ($6.6 million), wearing an electronic bracelet and handing over her passports. The extradition procedure can take months or even years because of the many appeal possibilities.